Thank You, Larry! 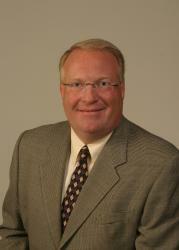 Larry McAnarney is our reverse mortgage loan specialist. He did an excellent job of explaining the reverse mortgage programs, the process, requirements, how the monies would be accessed if approved. He followed up with me multiple times before I made the decision to proceed which I really appreciated. He assisted me in wading through all of the requirements in the application process. He was always available for a question either by email or phone. He was always encouraging and optimistic about our chances for success. He was helpful and very clear as to all the documents I needed to prepare and always allowed me a reasonable amount of time to comply. As our house is in trust there were further "hoops to jump through." Larry truly went above and beyond the call of duty on our behalf with the underwriters. I have no doubt that his extra hard work won the approval of our reverse mortgage. I couldn't recommend him more highly. He has my thanks! The Customer Comes First Her I have been very happy with all of my dealings with Larry McAnarney. He has the drive needed to handle all the details in a timely manner but explain the steps and concepts in an easy to understand and gentle, laid back manner. Never a hard sell with Larry. With a plan to close the transaction before the first of the month, Larry kept the momentum going until all was settled with four days to spare. He was available for questions and advice at all times which was very beneficial because of the timetable involved. Professional and engaging. Win-Win-Win. Took Time to Explain Each Step Larry was very helpful and took time to explain each step and answer our many questions we had during the process. I would recommend him to my friends if they needed someone in his field. THANK YOU LARRY !! !